Do not forget the shins when getting your armour. 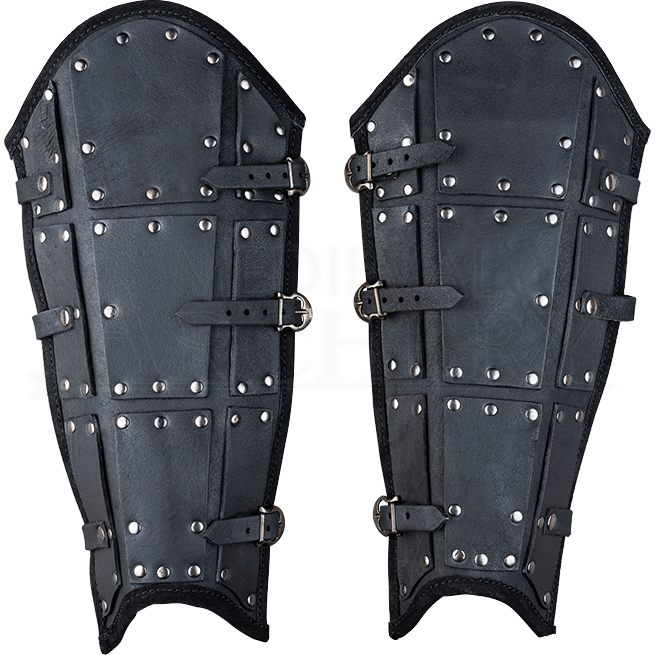 The Premium Version of the Quintus Leather Greaves is great for lower leg protection. Coming in brown and black, these tassets have a great curved edge to ensure better foot mobility. Attaching to the legs with straps and buckles, the set of two premium leather greaves allow for a better fit. Silver tone rivets hold the leather plates in place. The plates are 7/8 ounce leather and the base is 10/11 ounce leather. They are great for adding a historical and militaristic detail to a fantasy outfit or the ideal LARP ensemble.